I decided to grill some zucchini to go with our steak the other night. The recipe isn’t very technical – it’s really just to taste, and makes a great, simple side dish. 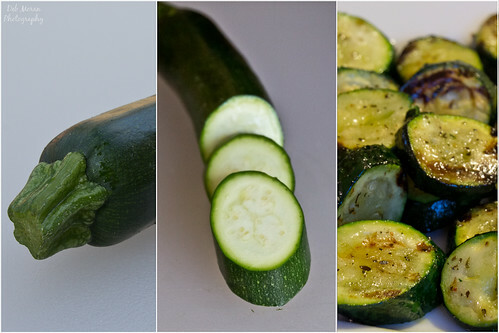 Slice zucchini on a slight angle. Place slices in a Ziploc bag. Pour in olive oil, enough to coat zucchini. Add Italian seasoning to taste. Squeeze out air and seal bag. Gently move zucchini around in bag so seasonings and salt are well distributed. Leave in fridge to marinate for at least one hour. Place on skewers so they will lay flat on the grill surface. Grill on low heat just until outside looks seared. Do not overcook, or it will be mushy.